June 9, 2015 By Elizabeth Lindemann 14 Comments / This post may contain affiliate links. Zach and I are moving to Austin, Texas at the end of the month! Oh, and also, I made Maple Cinnamon Pudding from scratch. It’s sweetened purely with maple syrup, making it 100% refined sugar free, and it is SO easy to do! (That, too, is very big news…but we’ll get to that in a second). We are over-the-moon excited about embarking on this adventure together, and we are MORE than ready- this move has been almost two years in the making! But in the last few weeks I’ve become somewhat sentimental about leaving New England. It probably has something to do with the fact that all the snow is gone and everything is green, lush, and full of flowers- the spring up here is fantastic. And then I think… six months. Six months is how long winter lasts up here, leaving you feeling cold, claustrophobic, and sometimes even depressed. That’s too long! New England may as well be The North in Westeros (Game of Thrones reference). And then I think… the Fall! Apple picking! The leaves! They are so beautiful! And then I think…Barbecue. And Mexican food. And chicken-fried steak! And all of Texas’s delicious, delicious glory. And then I think… the Colonial houses and bucolic scenery! New England woods! And then I circle right back around to NO MORE WINTER EVER. (I admit, that plays a very strong role in this decision to move. Sorry to my Norwegian heritage- the Greek side won over on this one). While there are certainly things that I will miss, there are many, many things I am excited about for this next phase of life. For one thing, Zach was born and raised in Austin and his entire family lives there. (And when Texans leave Texas, they miss it. BAD. Poor Zach has been away for five years now!) And as we begin to think about expanding our family in the near future, I am so, so happy at the prospect of raising our children around their cousins, grandparents, and big ol’ Texas family. With a big ol’ Texas back yard for them to run around in. I’m excited about living in the Austin area- the culture of that city is unparalleled. The people are friendly. The city is clean. The food is phenomenal. People are active and outdoorsy. And speaking of outdoorsy, you can go outside year-round (because, again, NO WINTER!). 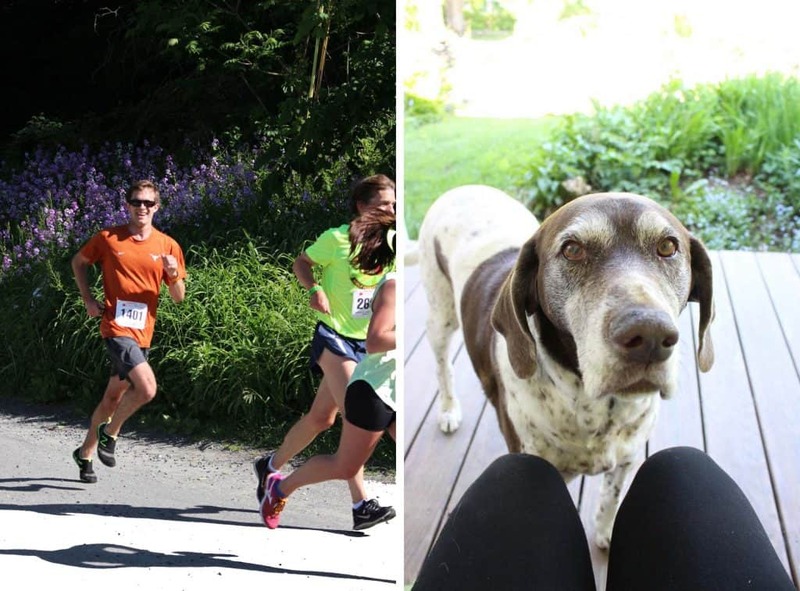 This past weekend, we had a perfect last hurrah in New England with a trip to Woodstock, VT. Zach ran the Covered Bridges Half Marathon (can you get any more “New England” than that?). We stayed at a lovely place via airbnb.com called Winterfound Farm- a gorgeous property with sheep, rams, chickens, doves, super friendly dogs, a horse, and a donkey. And we soaked in every last inch of the beautiful green mountains, woods, and fields and of the quaint, adorable town that represents quintessential New England. And at the end of the weekend, our gracious host sent us home with a dozen farm fresh eggs from her chickens! 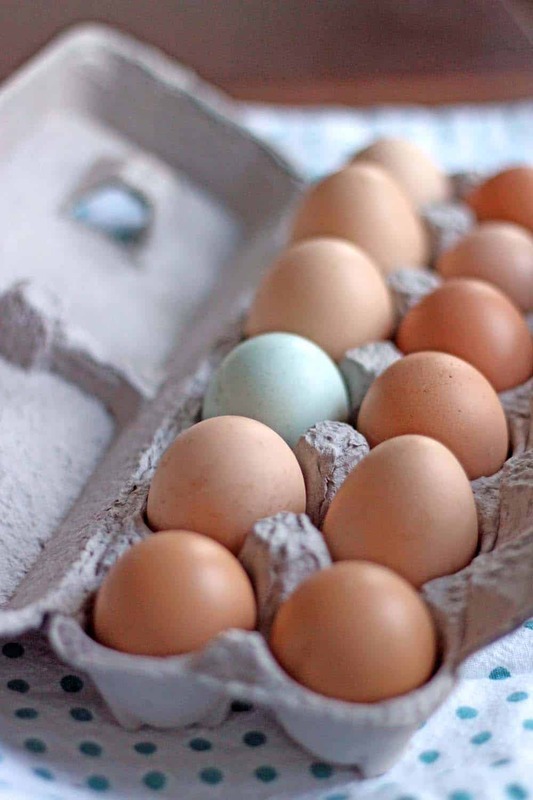 If you read my blog, you know that I love farm fresh eggs. Yum yum. So when I got home from the weekend and was feeling sentimental, I thought, what better way to pay homage to my New England roots AND use my fresh eggs than with a homemade Maple Cinnamon Pudding? I could think of no other possible alternative. And now I can think of no other possible dessert I EVER want to make. This stuff is good. Really good. And it’s surprisingly easy to make! I hadn’t made pudding from scratch before this, and I absolutely plan on making it again and again and again. While I made this on a whim for just me and Zach, this is also the perfect dessert for a summer dinner party- it’s cool and creamy, not too heavy, and you can make it far in advance. Plus, it only takes a few minutes to prep, and you can assemble it in glasses so it’s 100% ready to go when you are ready to serve. I’ve always loved pudding, particularly butterscotch. (Does this make me a 98 year old woman? Maybe, but I still love it! And I also love black licorice. So there.) But have you ever looked at the ingredients in boxed pudding? The ingredients in JELL-O Vanilla pudding contain multiple food dyes and even BHA as a preservative. This homemade pudding, while certainly not low-fat, is made of 100% real food: cream, milk, eggs, corn starch, vanilla, cinnamon, maple syrup, and butter. With NO refined sugar! And since it’s so easy to make, you’ll never want to buy the boxed stuff again. First, heat up the syrup, cinnamon, and a teeny bit of salt with half of the milk and cream on the stove until it’s just barely simmering (be careful not to scorch the milk). Meanwhile, beat the cornstarch, remaining milk and cream, and egg yolk in another bowl. 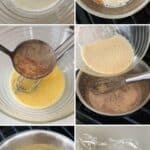 Once the milk mixture on the stove is heated, add half of it to the egg mixture, whisking continuously to temper the egg (this means you are cooking the egg gradually with the heat of the liquid. 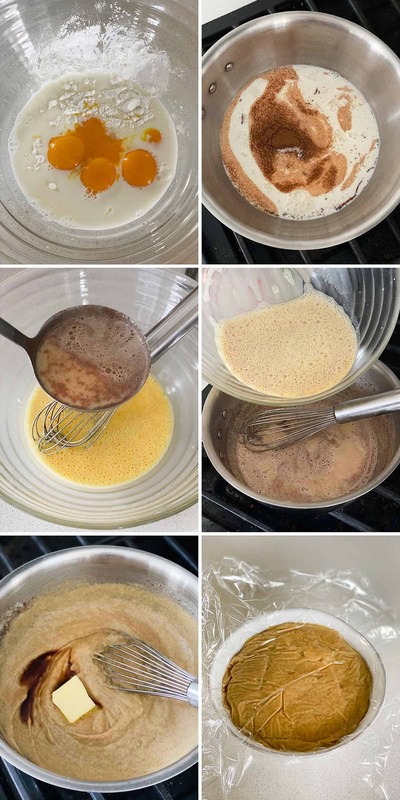 If the hot liquid is added too fast without stirring, the egg will cook without integrating into the rest of the mixture, making it lumpy instead of smooth). Then, add the bowl mixture back into the pot on the stove and heat until thickened, whisking continuously. Once it has thickened (this will happen almost instantly when the corn starch works its magic), remove it immediately from the heat and add the butter and vanilla extract, continuing to stir until butter has completely melted. That’s it! It takes under ten minutes to cook the pudding. Now, divide the pudding into cups, wine glasses, or whatever glassware you want to use to serve. Cover with plastic wrap and allow to cool in the fridge (if you don’t cover it, a “skin” will form on the top of the pudding. Some people like this- it’s up to you!). Meanwhile, whip up the vanilla whipped cream, which is simply heavy cream and vanilla extract beaten together (no sugar necessary). When you are ready to eat, top the cooled pudding with the whipped cream and an extra sprinkling of cinnamon and drizzle of maple syrup. (Or if you are impatient like me, eat the pudding while it’s still warm. The whipped cream kind of melts into it and it tastes very similar to bread pudding when it’s warm. YUM!). Sometimes, when Zach and I have a particularly yummy meal, we’ll clank together our forks or spoons as we would with a glass of wine. This is the kind of dessert that I recommend toasting with. Toast to whatever you want- I’ll say cheers to new adventures, to family, and to our new home in Austin! And to always being able to make this delicious pudding, no matter where in the country I am. 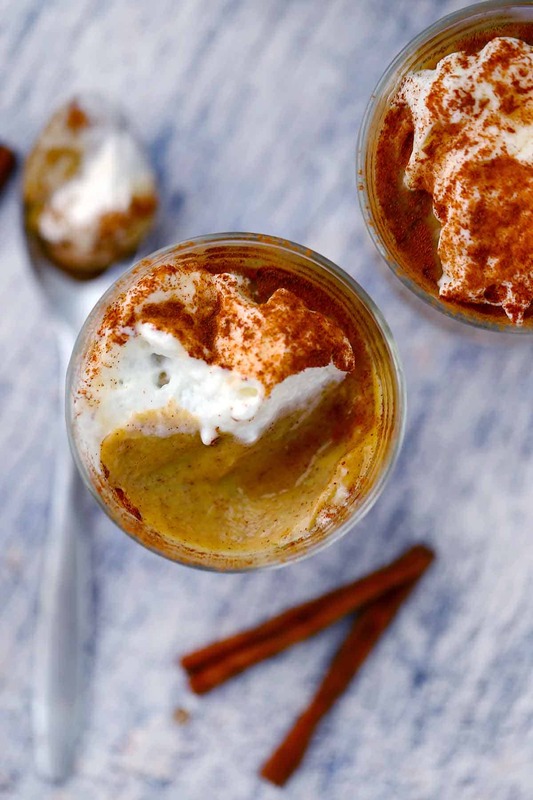 This maple cinnamon pudding takes only ten minutes to prep, and is 100% refined sugar free! It's the perfect thing for an impressive make-ahead dessert for a party. Heat up the syrup, cinnamon, and salt with approximately half of the milk and cream on the stove until it's just barely simmering (be careful not to scorch the milk!). Meanwhile, beat the cornstarch, remaining milk and cream, and egg yolk in another bowl. Once the milk mixture on the stove is heated, add half of it to the egg mixture, whisking continuously to temper the egg. Add the bowl mixture back into the pot on the stove and heat until thickened, whisking continuously. Once it has thickened (this will happen almost instantly), remove it immediately from the heat and add the butter and vanilla extract, continuing to stir until butter has completely melted. Divide the pudding into cups, wine glasses, or whatever you want to use to serve it. Cover with plastic wrap and allow to cool in the fridge (if you don't cover it, a "skin" will form on the top of the pudding. Some people like this- it's up to you!). Meanwhile, whip up the vanilla whipped cream by beating together the heavy cream and vanilla extract until stiff peaks form. When you are ready to eat, top the cooled pudding with the whipped cream and an extra sprinkling of cinnamon and drizzle of maple syrup. This pudding sounds SO yummy! Like, “lick the bowl” yummy! Will you make it for me on my birthday…come Fall? Cause you know, this year, you can! Your Texas family is waiting here with open arms. Soon! Love! Congratulations! All I could think about as I read about your move to Austin is “She’ll have so much more natural light to work with for her food photos!” Your photos are all beautiful but it must have been tricky getting the natural light during the winter months. I live in Arizona and am so grateful for the abundance of natural light (although today is not a good example. Cloudy skies today, but that’s rare.) It sounds like this will be a huge blessing, not only for you and your husband, but your future children. I love pudding and yours looks delicious! Thanks so much, Sandra! I am definitely excited about the natural light! It was VERY difficult in the winter. My foodgawker acceptances went way down when I was using artificial light, so I’m excited to be able to take better pictures more consistently. So excited you are coming to Austin! I love your posts! The pudding looks delicious! Congratulations on your move – how exciting! I look forward to your Texas-inspired posts. Thanks so much, Lisa! 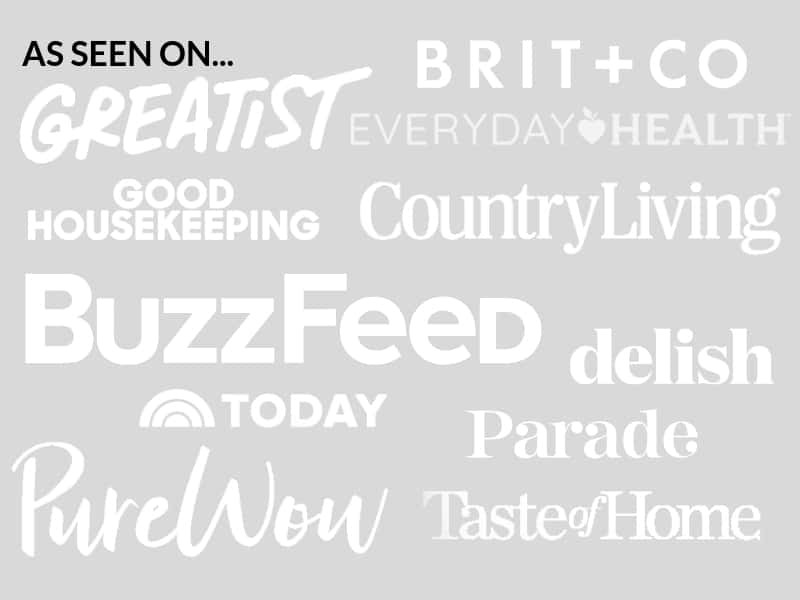 I am really excited about the blogging aspect of this- there are so many new food opportunities to post about! This looks so good !!! And your column is wonderful today as you articulated the emotions of living in New England and moving to Texas. We can’t wait for youall to get here!!! Thanks, Harold :-) We are so, so, so excited to get down there, too! Counting down the days. Three weeks from Thursday night we’ll be pulling into your driveway! In our OWN car!